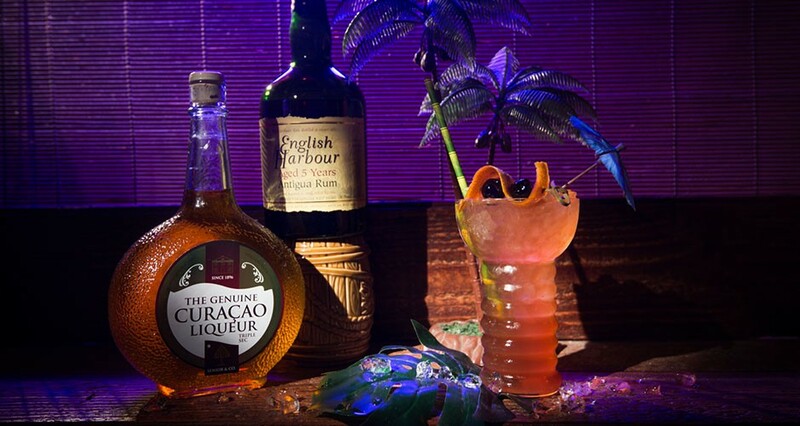 The essence of a tiki cocktail is escapism. Escape your everyday reality with the take of one sip from a tiki cocktail. The Tortuguita tiki cocktail will work your senses and bring up all your tropical paradise memories or, perhaps, fantasies to life. The recipe is constructed with a beautifully crafted Antigua rum and an Orange Curaçao that is distilled to perfection on the Caribbean island of Curaçao. Can it get more tropical than that? Shake with one cup crushed ice and pour into a double rocks glass. Top with more crushed ice. Garnish with an orange peel and brandied cherries.